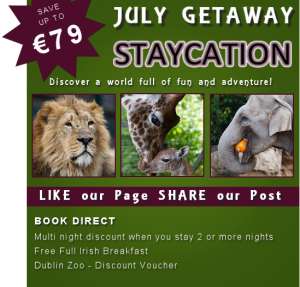 Enjoy Fantastic Staycation offers in Dublin right Now, multi-night discount, FREE Full-Irish-Breakfast and discount vouchers for most major attractions, Save on your family break this summer by staying in great accommodation, enjoy a hearty breakfast and spending quality time with your family as you enjoy all that is good about Dublin. Two months of free time as the State’s 3,000-plus primary schools close their doors for the summer at the end of this week – it’s a delightful prospect for the children, if daunting for parents. While free time can be expensive to fill, it doesn’t have to be. Over-scheduled children need this break from routine and a chance to kick-back, so don’t fret about “keeping them entertained”. There is free admission to the pay-in heritage sites run by the Office of Public Works (OPW) on the first Wednesday of each month, so plan a family outing for July 3rd or August 7th. Ones to consider include: the Battle of the Boyne site in Co Meath; the State rooms in Dublin Castle; Kilmainham Gaol, Dublin; Castletown House in Celbridge, Co Kildare; Dunmore Cave in Co Kilkenny; and Adare Castle in Co Limerick. It is advisable to get there early as tickets will be allocated on a first come, first served basis. For full listing of OPW sites, see heritageireland.ie. Guided family tours each Saturday at the National Gallery, Merrion Square in Dublin, from 12.30-1pm help focus your time in the treasure trove of art, which is free to visit, seven days a week. Family packs, as well as audio guides for children aged six to 10, are available at the information desk. Summer workshops every Sunday, 3-4pm, encourage hands-on exploration of one of the themes of the gallery’s permanent collection. Suitable for children aged six to 10 who must be accompanied by an adult. Arrive early to avoid disappointment. See nationalgallery.ie. Have a peek at the Taoiseach’s office during a tour of Government Buildings on Upper Merrion Street. They take place every Saturday at 10.30am, 11.30am, 12.30pm and 1.30pm. Free tickets can be collected on the day from the National Gallery of Ireland on Merrion Square West from 10am. As visits to both institutions are subject to cancellation at short notice and tickets are available only on a first come first served basis on the day, children’s expectations need to be handled accordingly. See heritageireland.ie. or tel 01 645 8813 (from July 1st for Government Buildings tour); 01 677 0095 (Áras tour). What should be a mantra for all of us is also the title of a campaign by the children’s activities website, mykidstime.ie, in conjunction with Coillte Outdoors – the body that promotes recreation in the State’s 10 forest parks and more than 150 wooded areas. They are a wonderful, free (except for parking fees at some) resource to enjoy as a family, whether on your feet or on your bikes. See mykidstime.ie for lots of ideas for free things to do – both outdoors and indoors. Mingle with knights and archers – or have a go at archery yourself – at the Oldbridge Country Fair this Saturday (June 29th), noon-5pm, at the Battle of the Boyne Visitor Centre, Oldbridge, Co Meath. Puppet shows, a magician and a pet dog show are some of the other attractions at what is a free-admission event. The weird, the wacky and the wonderful will be on view at the Laya Healthcare Street Performance World Championships in Dublin’s Merrion Square (July 12th-14th) and Cork’s Patrick Street (July 20th-21st). It’s a free festival, with contributions to performers at your discretion. See spwc.ie. There are family drop-in activities, tours and workshops throughout the summer at all four branches of the National Museum, which are always free to visit – to the surprise of many tourists accustomed to paying entrance fees. The themes of the four branches are: archaeology (Kildare Street, Dublin); decorative arts and history (Collins Barracks, Dublin); natural history (Merrion Street, Dublin); and country life (Turlough Park, Castlebar, Co Mayo). See the full programme of events at each on museum.ie. Yes, children can pick the flowers at the National Botanic Gardens in Glasnevin, Dublin, if they are attending one of the flower-pressing workshops on June 29th, July 27th or August 22nd (3pm each day). Places are free but must be pre-booked with the visitors’ centre on 01-8570909 or email botanicgardens@opw.ie. The same goes for pond-dipping on July 20th. Meanwhile, families visiting at any time can avail of the Summer Trail, with questions and accompanying map, for an enjoyable way to learn more about the gardens. Ireland’s biggest free air show takes place over Bray, Co Wicklow on Sunday, July 21st, 3pm-6pm. If that day doesn’t suit, or you can’t face the crowds, there will be a practice for the air show the previous day, from noon to 1pm. This is part of Bray Summerfest, which runs throughout July and August. See braysummerfest.com. Free performances and workshops by the aerial dance company Fidget Feet, from Donegal, will be one of the highlights of the Fleadh Cheoil, in Derry, this year’s UK City of Culture, August 12th-19th, when the streets of the walled city will resound with traditional music. See fleadhcheoil.ie. Céide Fields in Ballycastle, Co Mayo, which claims to be the most extensive Stone Age site in the world, is running a free family day on Tuesday, August 6th, 10am-6pm. Demonstrations and hands-on activities will include grinding wheat on a Stone Age quern stone and working with flint. This coincides with the Mayo North Welcome Home Festival (August 1st-9th). See ceidefields.com and northmayo.com. The exhibition Homecoming: JFK in Ireland in the National Library on Kildare Street is one to go to with the grandparents, particularly if they can remember the US president’s four-day visit 50 years ago. It includes photographs, footage and interviews, touchscreens and items from various collections. Runs until August 13th. See nli.ie for more details. Blackrock Castle Observatory in Blackrock, Co Cork, hosts free open evenings on the first Friday of every month. They start at 6pm with family-friendly half-hour sessions led by an in-house teacher and astronomer, followed by a talk at 8pm. The next one is July 5th (there won’t be one in August due to the bank holiday) and includes access to the ongoing Tara Oceans exhibition, which features some amazing photos from a marine expedition. See bco.ie or tel: 021-435 7917. Farmleigh House and Gardens in the Phoenix Park, Dublin, has a lively summer programme that includes art workshops for children aged six to 12 (July 13th and 27th and August 10th and 24th), food markets (July 7th, August 4th and 5th, 18th and September 1st) while on August 18th, Australian ecologist Dale Treadwell will be there to entertain and educate on the subject of butterflies and bees. (Note, places in art workshops are allocated on first come, first served basis on the day.) See farmleigh.ie. Fancy seabird watching at Coliemore Harbour in Dalkey, Co Dublin (every Tuesday in July) or making a bumblebee home (July 21st) or an evening bat walk (August 30th)? Every week between June and the end of August there is at least one guided event as part of the entirely free (but pre-booking is often required) “Exploring Nature” programme organised by Dún Laoghaire Rathdown County Council in conjunction with several wildlife organisations. See dlrevents.ie. As part of the Irish Patchwork Exhibition, members of the Irish Patchwork Society will lead workshops for beginners aged eight and up at the National Botanic Gardens in Glasnevin, Dublin, on three Tuesdays in July (16th, 23rd, 30th) from 11am-1pm. 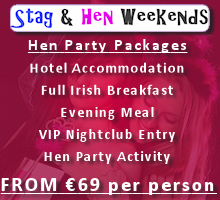 Places are free but must be booked in advance with the visitors’ centre on 01-8570909. Explore raised bog without getting your feet wet along an outside walkway at Corlea Trackway Visitor Centre in Kenagh, Co Longford, and catch a glimpse of pond bugs and insect-eating plants along the way. Inside the centre there is an 18-metre stretch of Iron Age bog road, constructed out of oak in 148 BC. Learn about its origins, the mystery that surrounds its use and how it was excavated from the surrounding bogland and preserved for display. See heritageireland.ie or tel: 043-3322386. Okay, you will have to pay the ferry man . . . but Scattery Island Centre is free to visit when you get there and there is no charge for the guided tours. Situated about one and a half kilometres off Kilrush, in Co Clare, the island is the site of a monastic settlement founded in the sixth century and is believed to have derived its name from the Norse word for treasure, “Scatty”. Play invaders for the day at an island which has seen many invasions over the centuries, and is home to one of the highest round towers (36 metres) in Ireland, as well as the ruins of six churches, a castle and 18th-century battery. See heritageireland.ie or tel: 065-6829100. Not only a rich resource of books, DVDs and CDs to keep children entertained, libraries host summer events too numerous to mention here. From storytelling and author visits to arts and crafts, there is something to suit all ages. Some branches also join the UK-based Summer Reading Challenge, encouraging children to read during the holidays. This year’s theme is Creepy House, and promotional materials are illustrated by award-winning children’s author Chris Riddell. Check with your local library. There are also robot-making workshops for teenagers on August 19th-21st that are still available going to print. Otherwise, plan a visit for the weekends of July 6th-7th or August 3rd-4th when there are special family events. See cbl.ie. Learn about wall-building and how to leave no trace when out in the landscape at a free open day for all age groups in the Burren National Park on July 20th, in conjunction with a Learning Landscape Network Event. On the first Sunday of every month, children go free on walks organised by the Burrenbeo Trust, which are also free to members but adult non-members are asked to contribute €5. Meanwhile, the Burren’s very special limestone landscape is, of course, free to explore at any time. 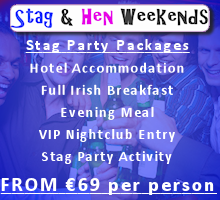 For more information see burrenbeo.com or tel: 091-638096. Stick a pin anywhere in a map of Ireland, and there’s sure to be some sort of summer festival in the vicinity, most of which have free children’s events. Ones to note include Drogheda Samba Festival (June 28th-30th); West Cork Literary Festival (July 7th-13th); Sneem Family Festival (July 17th-21st); Galway Arts Festival (July 15th-28th); Skibbereen Children’s Festival (July 22nd-28th); Birr Vintage Week (August 2nd-10th); Carlingford Oyster Festival (August 8th-11th); Kilkenny Arts Festival (August 9th-18th ) and Puck Fair in Co Kerry (August 10th-12th). See discoverireland.ie. No matter where you live, you will find a heritage event happening near you between August 17th and 25th, and many are free. From medieval fairs to night-time bat walks, historical re-enactments to traditional music sessions, there are activities for all ages, to celebrate our natural cultural and built heritage. It is also a week when you can visit places not usually open to the public, or enjoy free admission to normally pay-in sites. Youghal Medieval Festival: battle re-enactments and birds of prey are a couple of the attractions at a celebration of medieval times within the 13th-century walls of the Co Cork town, on Sunday, August 18th, 12-6pm. Athenry Walled Towns Day: Puppet shows, archery and weapon displays are just a few of the activities laid on for children in the Co Galway town, on Sunday, August 18th, 1pm-5pm. Fun Day in the Bog: at Ballycroy National Park, Westport, Co Mayo, Sunday, August 18th, 11am-4pm. Water Heritage Open Day: explore the old Victorian waterworks on Lee Road in Cork; create giant bubbles and launch water rockets, on Saturday, August 17th, 11am-4pm. Family Fun Day at the National Print Museum: demonstrations and hands-on activities at Beggars Bush Barracks, Haddington Road, Dublin on Sunday, August 25th, 12-4pm. Children’s Day at the Áras: tours on Saturday, August 24th at 11.30am and 2.30pm. Strictly one adult per child/children and booking essential, email terry.butler@opw.ie. For more information on all of these, see heritageweek.ie. Every effort is made to ensure that these listings are accurate at the time of going to print, but you are advised to check with a venue before making a journey. 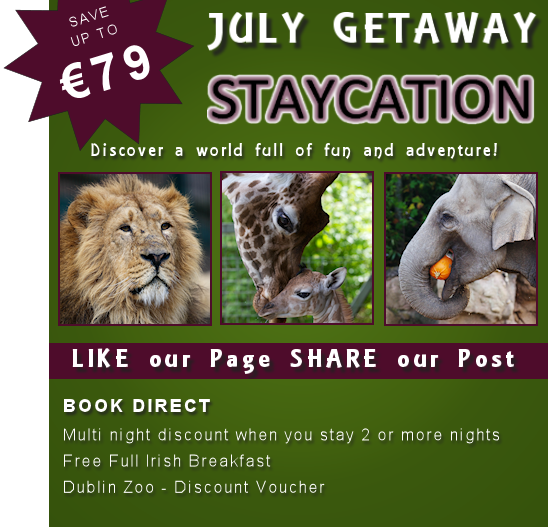 This entry was posted in School holidays and tagged dublin whats on, family break, primary school holidays, School holidays, short break, staycations in Dublin, summer activities, summer holidays in ireland, things to do. Bookmark the permalink.